Welcome to Dandy Dawgs Website! I am delighted you have taken the time to browse my web site. Dandy Dawgs came into being when a little Jack Russell Terrier mix named Annie Honeymoon won a contest and hit the local news paper headlines as a "dandy dog". Some forty years later, Dandy Dawgs was born. I have had a love for canine critters before I could walk or talk. That love took me along some incredible journeys where I learned to respect my furry four legged friends as the magnificent beings they are. They deserve much more than most of them receive. This is due to humans lack of understanding the canine. We attach our thoughts as theirs, our motives as theirs, our manipulative tendencies as theirs and they are simply not any of that. They are very different critters than we humans. When we learn to speak dog, we will gain a huge insight toward a harmonious life with them. I have been involved with canine rescue for many years. They are a breed of their own and I attribute them to be my best teachers in canine behavior along with some fine human trainers and canine behaviorists. Training rescue dogs is a challenge, most come into rescue with little bonding and social skills. With patience, consistency, proper communication and love, nearly every one of them can be taught to live in the crazy human world we have bred them into. The number of dogs euthanized each year in Arizona alone is well into the thousands due to human ignorance and lack of spay and neuter. These lovely creatures came into being because of mankind and we owe them a huge debt and responsibility. 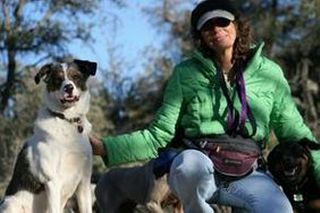 It is through my effort to train the folks who choose to make them, rescued, pure or mixed breed, a part of their lives that I hope to repay my canine friends. Dandy Dawgs invites you to enjoy many hours of training fun and opportunities for developing the relationship of a lifetime. Thank you for joining my friends and me as we journey on in the romantic and often frustrating bond of 'man and dog'.